Politically, pensions auto-enrolment has proved to be a huge success with 7.8 million workers enrolled into a workplace pension scheme for the first time across across 550,000 employers to date. For workers, the future success of the project is less certain with current annuity rates promising little return on a contribution of 1% of earnings. For HR professionals, the majority of whose employers will already have passed their automatic enrolment staging date, the regime now consists of a series of ongoing compliance and risk management issues. 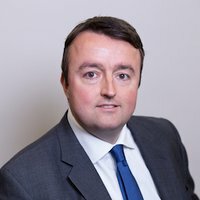 Importantly, the Pensions Regulator continues to proactively police auto-enrolment compliance, in the first quarter of 2017 alone issuing 4,673 fixed penalty notices, 1,043 escalating penalty notices and 227 inspection notices (allowing it to attend and inspect premises where it believes there has been non-compliance). So what do HR professionals need to be aware of in terms of managing their workforce for pension purpose? Check who needs to be automatically enrolled – the Pensions Act requires employers to auto-enrol workers who ordinarily work in the UK. In most cases, it will be self-evident who is a worker; however, if your organisation employs non-regular categories of staff, e.g. self-employed or agency workers, you should review each individual case to determine if they have worker status and seek legal advice if appropriate. Also, the fact that a worker “ordinarily working” in the UK is covered means that you may need to auto-enrol foreign nationals working in the UK, as well as UK nationals working overseas on a temporary basis, provided they expect to return to work in the UK. Beware change of worker status - not all workers need to be auto-enrolled, only those who are “eligible jobholders” – namely workers who earn over £10,000 a year and are aged 22 to state pension age. Workers aged 22 to state pension age earning less than £10,000 but over £5,876 do not need to be automatically enrolled, but may opt-in and their employer has to pay contributions on their behalf – this group is called “non-eligible jobholders”. Finally, there is a third category, “entitled workers” who fall outside these age and earnings thresholds. They have a right to opt into membership but their employers do not have to pay contributions. Importantly, workers can move between these bands as they move through the course of their working life, and so as part of your three year re-enrolment cycle for any individuals who have opted out of membership you need to put in place arrangements to monitor and process changes to jobholder status. Manage your HR processes – it is crucial that your HR processes are managed correctly – this covers a number of areas, but in particular you should ensure that your systems are aligned with your pension scheme provider so that contributions are correctly deducted from salary, remitted to the provider in the appropriate timeframe and any benefits (e.g. death benefits) are paid promptly. You should also make sure that you are prepared for the phased increase in minimum auto-enrolment contributions – currently, most employers are just paying minimum contributions of 1% of earnings, which will increase to 2% by April 2018 and 3% by April 2019. Failure to do this could expose both you and the provider to the risk of future claims. You should ensure that your team are fully briefed on auto-enrolment matters, so that they do not fall foul of the prohibitions on recruitment conduct (i.e. asking anyone at interview if they intend to join the pension scheme), or the prohibition on offering members inducements to opt-out. If you have not done so already, you may also wish to update your standard terms and conditions for new joiners to reflect auto-enrolment, and in particular so that you have some flexibility to alter your pension arrangements (subject to compliance with auto-enrolment) in the future. Review your provider – finally, you should review your provider from time to time to check that they are doing a good job for your members. One approach is to put in place a specific service level agreement and KPIs to ensure that the provider is performing within an agreed framework – you should also review the performance of the default fund and any charges levied on members to ensure that members are receiving value for money and are not being asked to bear excessive costs. This article was originally published in People Management.